Journey of sustainability reporting: From exception to the corporate reporting norm. 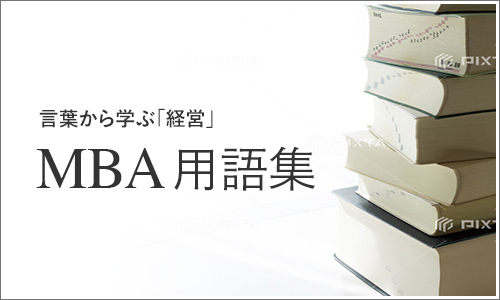 I welcome all of you to the IBA Research Forum. I am a relatively new member to this society. I joined in Kwansei Gakuin Family in April, 2014. In this occasion, I take the opportunity to share my research interest with you. I am studying sustainability accounting, reporting, and auditing for the last few years. Some of you, may be aware of these concepts, especially, as Japan is in a leading position of such voluntary reporting practice. We have seen significant development in sustainability reporting over the last three decades. While a small number of Multinational Companies started to report on their social and environmental performance during 1990s, KPMG survey in 2015 documents that more than 90 percent of global leading companies now regularly publish such reports. These reports are variously named including Social and Environmental Report, CSR (Corporate Social Responsibility) Report, Corporate Citizenship Report, Environment, Social, and Governance (ESG) Report, Triple Bottom Line (TBL) Report, and Sustainability Report. In the absence of any authoritative guideline/standard, the content of sustainability reports varies significantly. The Global Reporting Initiative (GRI) is a multi-stakeholder initiative and an international independent organization that has been working since 1997 to standardize this practice. Currently GRI provides the world’s most widely used standards on sustainability reporting and disclosure. A report prepared according to GRI guidelines should contain disclosure, among others, on corporate economic, environmental, and social performance. A number of leading Japanese corporations also follow ISO 26000 (International Organization for Standardization)-Social responsibility to align the content of their reports. ISO 26000 describes the social responsibility into seven core subjects: Organizational governance, Human rights, Labor practices, The environment, Fair operating practices, Consumer issues, Community involvement and development. But what motivates managers to engage in this non-financial disclosure? An important reason is change in management perception regarding corporate responsibility. Rather than holding Milton Friedman’s famous saying that corporations’ only social responsibility is to make as much profit for shareholders as is legally possible, business executives these days are also aware of their ethical, moral, and philanthropic responsibilities. Recent increase in sustainability reporting is also driven by mandatory regulations. Government and stock exchanges in many countries including Denmark, France, Norway, Malaysia, Indonesia, South Africa, India, and Brazil have mandated publication of non-financial disclosure. In addition to ethical consideration and regulatory burden, corporations also have economic benefits from sustainability reporting. These benefits may come through increased business opportunities, innovation, reputation, and reduced risk. Research has already confirmed that sustainability is a mother lode of corporate innovation and is the key source of competitive advantage. International Corporate Sustainability Barometer Survey in 2013 has found that 70 percent of corporations are now consistently connect sustainability to all segments or most segments of their core businesses. In addition, failure of businesses during global financial crisis in 2008 also raised question about the ability of financial reporting to measure and report business risk accurately and to value corporate assets appropriately. These would definitely encourage managers to take sustainability reporting seriously. We can expect more innovation in sustainability reporting to provide a holistic view of corporate performance. Thank you for your patience!